The person who wrote the review is Armand Diaz, PhD, author of a most interesting and stimulating book about astrology which I am currently reading: Integral Astrology. Review written by: Armand Diaz. Proving astrology is a tough business. It is a symbolic language, and symbols always find new ways to manifest themselves in the world. The kind of precise prediction that sciences aim for (and sometimes achieve) is going to be elusive for astrology, because one can never be sure of exactly what one is looking to find. That said, symbols do suggest a field of meaningful possibilities, and it is reasonable to search for coherence between astrological and terrestrial events – assuming that they are riding on the same symbolic track. In other words, if the planet Saturn is symbolically associated with work and obstacles, we ought to find that days when Saturn is emphasized are better for putting the shoulder to the wheel than lying in a hammock. Astrology may resist quantitative statistical analysis, but it ought to work well with qualitative research methods. That is the approach taken by Anne Whitaker in Jupiter Meets Uranus, a short, readable, and in-depth look at the meeting of two prominent planets in 1997. Jupiter and Uranus each move through the zodiac at their own pace, and they meet in the sky every 14 years, like the minute and hour hands of a clock. The Jupiter/Uranus cycle, as it is known, is astrologically associated with the (sometimes disruptive) quest for individual and social freedom, as well as with technological innovation. It is at the meeting (“conjunction” in astrological parlance) of the two planets at the beginning of each cycle that the greatest changes are usually observed. Whitaker takes both collective and individual responses to the 1997 meeting of the two planets into account. In doing so, she creates a social context for the individual changes and challenges the participants in her study experienced. At the collective level, she notes the announcement that Dolly (the sheep) as the first cloned animal during the height of the Jupiter/Uranus meeting. 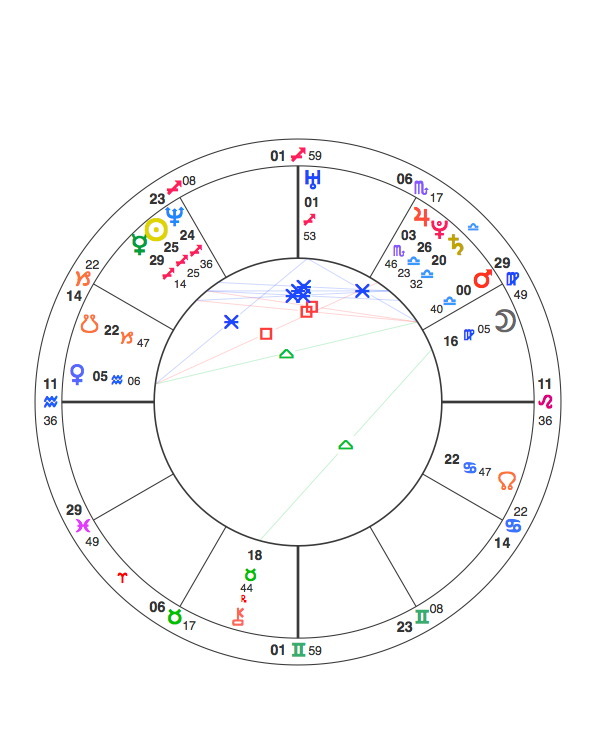 Doing some detective work, she shows that there are significant astrological ties to the chart of Mary Shelley and also to the publication of Frankenstein. It makes one wonder. Going further back in history, Whitaker follows the threads of other notable explorations and technological innovations. For example, she notes that explorer Ponce de Leon arrived in Florida near Cape Canaveral during the Jupiter/Uranus conjunction of 1513, the very site that the Apollo 11 rocket to the moon launched from during the 1969 meeting. These connections make for fascinating reading, and even skeptical readers will be impressed by the correlations and meaningful coincidences. 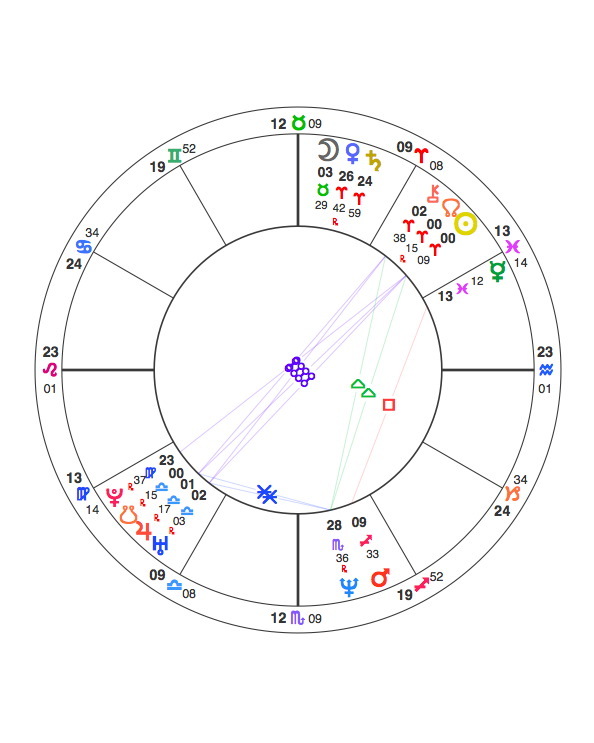 At the personal level, nine people whose personal birth charts were especially strongly affected by the Jupiter/Uranus meeting reported on the events in their lives, as well as their personal reactions to those events, over the course of the time the planets were near each other. What becomes apparent to the reader is that the majority of participants experienced a significant shake-up in many areas of life – such as career and personal relationships – while also feeling greater-than-usual internal stress. What we collectively experience in social and political changes is brought home to an individual level during the conjunction for people who have sensitive areas of their chart nearby. Jupiter Meets Uranus is a great introduction to how astrology works at the individual and social level. Readers without any knowledge of astrology may want to skip past a paragraph or two here and there, but Whitaker’s style is engaging and her explanations are always clear. By taking a relatively small slice of the astrological pie and examining it in detail, she makes it possible for non-astrologers to understand how astrologers think – a valuable insight for anyone wanting to know more about this ancient discipline’s workings in the contemporary world. Note from Anne: there is an extensive archive of astrology articles on my main “Writing from the Twelfth House” blog, filed under Not the Astrology Column. Check it out! For readers new to the research, click HERE to read background notes on the project, HERE to read through Phase One of the research, HERE to read through Phase Two (or to refresh your memories if you are an existing follower). HERE takes you through to the third and final part of the study: the summing up of their turbulent and changeful Jupiter/Uranus year from Spring 2010-11. “Giorgio”(28) “Maria” (32) “Harry”(41) “Eve”(51) “Alicia” (53)“Kathy” (54) “Caroline” (58) “Louis” (60)”Fiona”(61) and “Barbara”(81) : this is the group of ten volunteers who have been generously opening a window on their lives since the Spring of 2010 – to enable the rest of us to see ‘astrology in action‘. v) Any comments on March 10 to March 11 – eg was there a key event/development in your own country/the wider world which struck you as highly significant and in tune with the planetary symbolism? Main event in Finland is the comet-like rise of a populist extremely conservative/racist/homophobic party. A year ago they were a joke, now we are going to have parliamentary election in April and if the results of countless surveys are not completely off, they will get 20% of the vote. If our next prime minister is the leader of this party, I am going to emigrate. Globally, the revolts in the Arab countries are a perfect expression of Jupiter/Uranus energies (helped along by Pluto). I couldn’t have come up with a better example even if I tried my outmost. vi) Any other comments by way of conclusion? Hopefully the new Jupiter/Uranus cycle will keep me on my chosen path and the repressed people of the world on the barricades. Looking back at news from March 10 I found this quote from an article in the International Herald Tribune to be a significant reflection of how the Jupiter- Uranus transit is influencing daily life in the US. CHICAGO — The bitter political standoff in Wisconsin over Gov. Scott Walker’s bid to sharply curtail collective bargaining for public-sector workers ended abruptly Wednesday night as Republican colleagues in the State Senate successfully maneuvered to adopt a bill doing just that. It also reflects the polarized battle of the separating Saturn –Pluto square delivering polarized battles between class interests, and the approaching Uranus – Pluto square in 2012, promising volcanic eruptions world wide between governments and the people they serve – as already witnessed in the social unrest in the Middle East and the recent invasion into Libya. Upheaval, students finally waking up and protesting, uprisings in the Arab world, earthquakes and tsunami. If this is a peak into the future, many will prefer the past. It was a year of much environmental apocalypse which is still ongoing and developing. Volcanos and earthquakes. Seems very Jupiter/Uranus. There’s a whole new level of grief and fear and alarm in waking up in the mornings these days. A sense of my own evanescence and the possible/probable disappearance of much of the natural world. There are 6 planets in Aries in the first few days of April 2011, which with the current situation as of the Ides of March in Japan and politically here in the USA does not make me feel encouraged. Carl Rogers said that“The truth shall set you free, but first it will make you miserable”. The truth is coming out about many things as in the condition of superannuated nuclear reactors in this country and in Japan and elsewhere which can only make me miserable. The combination of nuclear reactors for profit and the trust in their self-responsibility is beyond insane. Time and events worldwide seem to be speeding up with a new crisis almost daily. The 24-hours-a-day news media, social networks, and instant communications have all added to the feeling of unpredictability. Obviously the Aquarian Age is upon us. I think the Bible says something about when the sign of man appears in the heavens, you will know all things. Interestingly, Aquarius is the only sign depicted by a man. 11 March 2011, the day Uranus entered Aries, was the day of the Japan earthquake/ tsunami / nuclear disaster! Could it be more perfect astrologically speaking? The cardinal T-square of 2010-2011 happened with a lot of major events!!! Millions were affected by these events. It was a year of impressive change. As impressive as the change might have been in 2009 and 2010, the cardinal alignments will still continue through out the next years. This means that a lot of big change will continue! Saturn and Pluto form a conjunction in Capricorn. 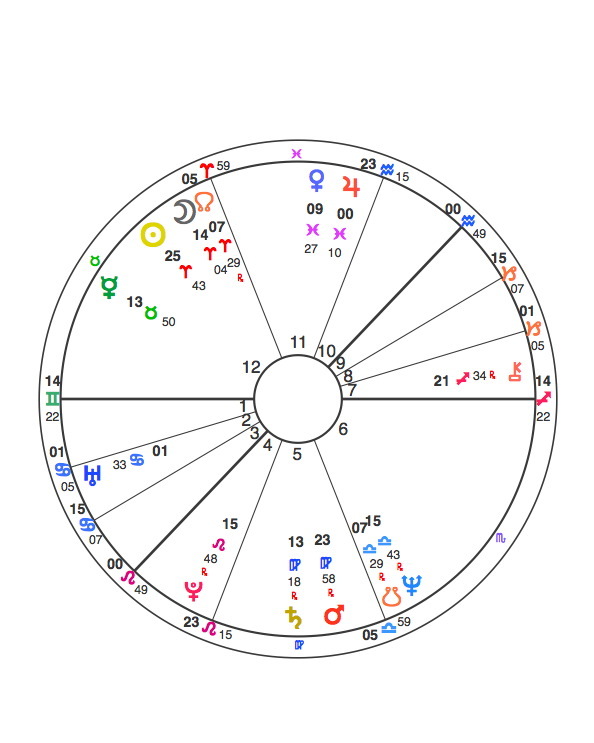 If we follow the pattern of dramatic change and revolts every 84 years that Uranus transit in Aries (1770s, 1840s, 1930s), then it becomes apparent that we are due to another period of dramatic events. What we are seeing, is just the beginning. Uranus in Aries marks in fact a new beginning. Definitely, the unrest in the Middle East (Egypt, Libya, Tunisia, etc. ), and the political and economical unease right heer in America. Also, the earthquakes in New Zealand, Chile, Japan—floods in Australia. It just seems that this year has been a time of instability and upheaval that while causes a lot of dame in the process will ultimately lead to tremendous change for the better. I say that, not downplaying the devastation caused by these events, but what I feel will be the lasting changes resulting from them. It was a pleasure participating in this research project. I hope the people reading who are interested in astrology, get as much out of it as I have.Just reading the other participants entries helped me understand the effects of this transit (Uranus will be sitting on my south node for a good while even after this project ends) even better. Obviously the earthquake, tsunami and nuclear disaster in Japan. We also had flooding here on the East Coast which, to me, speaks not only of Jupiter/Uranus, but Mars in Pisces. It’s important to remember that astrology is, among many things, the study of cycles. An event may not coincide with an actual transit or meeting of two planets at an important point, choosing to manifest instead with subsequent transits or Eclipses to that point. Realizing this and working with this time table — the upcoming transits to this point — can help you harness or at least work with the energy in achieving what you want in a way that channels the energy around you instead of working against it. Any other comments by way of conclusion? I think we can all agree that this was a surprising year for the world. We had major Earthquakes, Volcanos, Tsunamis, followed by major man made disasters such as the Oil Spill in the Gulf and the unthinkable Nuclear meltdown in Japan. Not to mention the middle east rebellions against government suppression. I think the universe is telling us it’s time to rethink our energy needs. If we hope to survive, we need to change things that aren’t working in that area. Uranus is Aries is a time to start new and I think the disasters that have befallen humanity this year, produced in many cases a surprise ending, so that a new and hopefully better beginning can emerge. I think we all witnessed revolution at work, all across the globe. Most surprising was Obama’s return to favour in the polls. It’s almost Alice in Wonderland-like. War, earthquake, tsunami, ecological disaster, revolution enforced from without and within. I think Uranus shouls be happy with his partnership with Jupiter. One thing we didn’t consider enough as astrologers was the Pluto effect that lingered—Pluto affecting the cardinal point guaranteed that death was on Uranus’ heels. For me, personally, as well as globally. It was a bloody revolution and its toll was high. In retrospect, regardless of what I said in previous questionnaires, the significant features for me were probably new learning, meeting new but not necessarily easy people and travelling a lot to Europe. Yes there was an increased feeling of unease, connections with much younger people facing death through illnesses out of the blue and a sense of having little time left to do an awful lot. I think the response to the previous question suggests that the effect was able to be seen and felt. It hasn’t been very enjoyable as even the new learning has had an obsessive and even desperate quality to it. It all seems so petty and personal in the light of the current situation in Japan, but I learned to not listen to every body who wishes my attention. I still am eager to listen to my daughter, to my best friend but my indiscriminate listening to just anyone has disappeared in this year. My twenty years of dogged devoted listening from my training as a homeopath has flown the coop. I just don’t have the patience any more to mother everyone….I feel both guilty and relieved. Summarizing the past year: Two steps forward and three steps back. Financial losses, stressful, health problems. Intuition out-to-lunch; made many decisions I regretted later. Jupiter in my First House all year should have made my life easier, however, Uranus in my First House at the same time, injected the unexpected, surprise element that kept me off balance. With natal Uranus in my First House in Aries, you’d think I would be used to it. 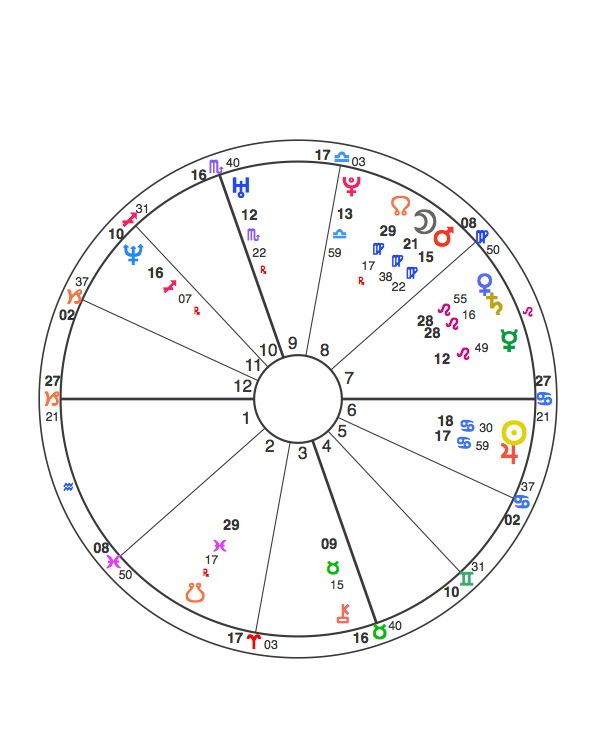 Other factors to consider: the Solar Eclipse 1/15/10 conjunct my natal Venus and the Solar Eclipse 7/11/10 conjunct my natal Pluto added to the mix. Looking back at similar Solar Eclipses in 1972 and 1991, I can report those two years were particularly stressful with a sensation of floating and plans not working out. Readers new to this year-long project following the changeful lives of our dedicated band of ten researchees should click HERE to access the whole Archive, set out chronologically. The most significant parts of the year were in February and March 2010. My husband suddenly went in for gallbladder surgery and my boss was “asked” to retire. In late March, I left my sedentary secretary position and went back to a more manual labor job. The conjunction of Uranus and Jupiter at 28 Pisces in August/Sept 2010 was when I injured my shoulder at work. I was unable to work for the next two months. I found this significant due to the extreme astrological associations with the actual conjunction. (Uranus ruling shoulders and the injury exactly where the Star Scheat is located in Pegasus. On the last conjunction of Jupiter/Uranus in January 2011, almost to the day, the Postmaster General announced that they were downsizing and restructuring the entire organization due to massive debt. I waited until March 25th to write, because certain details were supposed to be released on an early retirement buyout offer. Unfortunately things are proceeding slower than expected. I expect to have conformation of an buyout offer for me after our contract is ratified sometime in May. I told Anne in an email my only misjudgment with this conjunction, was that I thought it would be the start of the beginning of my new life, when in fact it turned out to be just the beginning of the end of my old life. Maybe that is due to the fact I was dealing with 29 degree of Pisces energy and not 0 Aries. It has required me to acquire a double dose of patience. I consider this past year a milestone year, the kind you use as markers in your life and consider it as a turning point into a new beginning. The return after an absence of 17 years of the “Vertex” relationship which, as I now know, started in May 1988 with transiting Uranus conjunct my natal Vertex at the 1st degree of Capricorn and the same said Uranus was in square to his Sun/Moon midpoint at 29 Pisces 52. This fast forward repeat run was completely unexpected, very disruptive to my well-organized life and my mental state, but also very exciting. The influence of the conjunction seemed to be very strong May to Sept but diminished after that. The January conjunction at 27 Pisces passed without any out-of-the-ordinary happenings. Now it remains to be seen what, if anything, Jupiter and Uranus return into Aries brings. Nor do I know if I want anything more to happen. Funnily enough, when Uranus T reached his Sun/Moon a couple of nights ago, my phone rang. 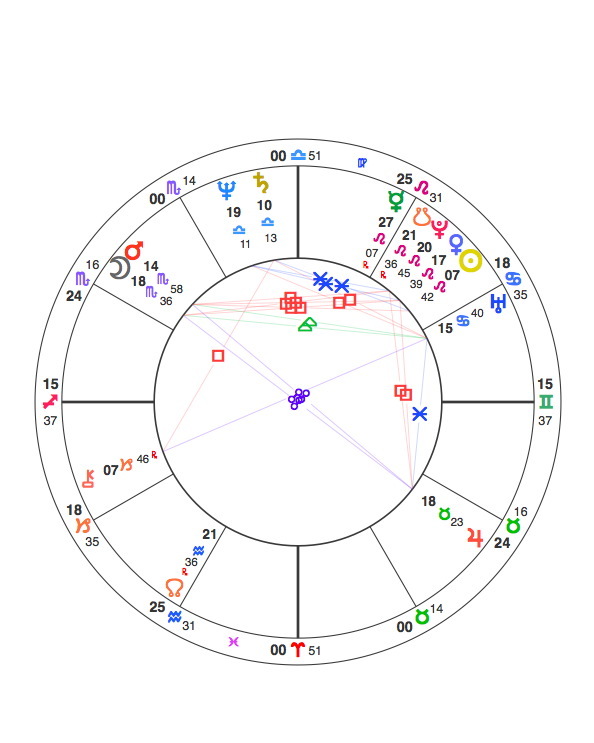 I think his extreme sensitivity to that point in his chart is the result of its location in his 1st house. Jupiter and Uranus will be transiting my 9th house and his 1st in the near future. 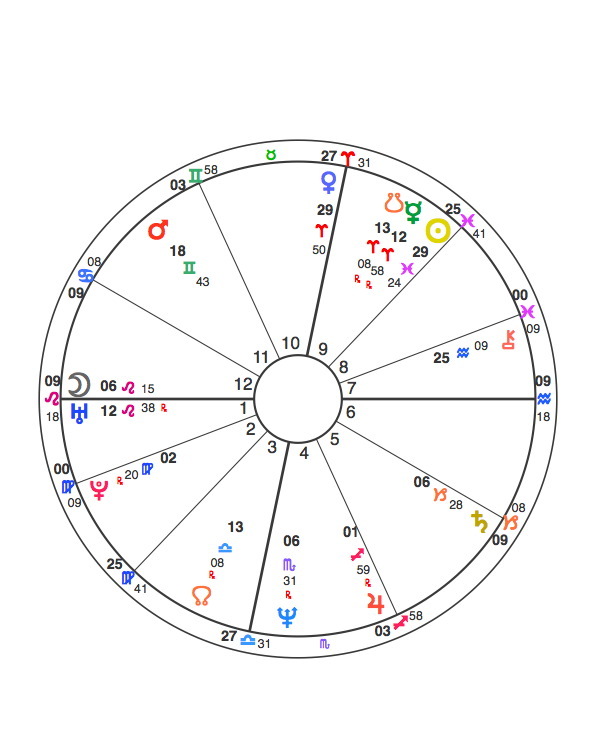 Other than Vertex, nothing major happened except the sleepless months in the busy summer (my Mercury at 0 Aries trine Uranus in 12th house got overly activated by the 1st conjunction in June I think). At the moment I am feeling like I’m turning into more me but then, no wonder, with many planets in Aries/Leo/Sagittarius. The whole chart is on the move because the fire element is very strong. Active 9th house thanks to the conjunction. Lots of foreign travel after many travel-less years. Surprise meetings of old friends with a foreign country connection. So yes, the influence was there to be seen. Now it feels like it was return to the life I am meant to be living with my 9th house Sun in Aries. Will also examine my past charts to see what derailed me in 1999/2000. Now that I have a bit of perspective, or at the very least, a familiarity with the last year in transit I can say with new awareness that finding a place where I feel I belong has been the most significant journey of the past year…. a journey of the soul. 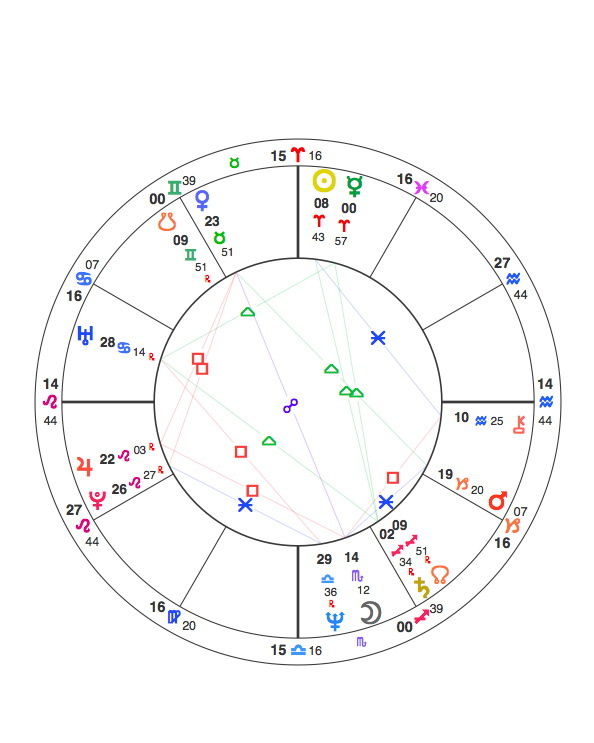 (Jupiter – Uranus transiting my natal 4th house opposing my 2nd Saturn return in my natal 10th house, transiting Neptune in my natal 3rd house opposing my natal Rx Mercury in the 9th house, transiting Pluto 1 degree approaching an exact conjunction with my natal Chiron in the 1st house. When 2010 began to unfold I was not expecting to relive my past as I did. In mid March 2010 I suddenly returned to the country of my birth after a decade lived on 3 different continents. I had a vague idea of returning to live and work in my birth land but nothing was for certain. I tried to re-enter friendships that had once defined my sense of self in the world but too much time had passed, our lives had evolved in different directions, and I returned not understanding how much my values had changed in the passing years. I had much difficulty adjusting to the changes and struggled to understand them. Relationships with my blood family also changed in unexpected ways that was both sobering and nourishing. I released painful attachments to family sorrows and personal disappointments. I lived the entire year without my own home and experienced many changes and disruptions to my daily rituals that required me to be flexible and to gracefully fit into the daily rhythm of others, which I did with modest success. In 2010 I did the same work that I had done when I was 28 and experiencing my 1st Saturn return – I helped friends and family redecorate their homes. I was somewhat bemused to be re-living work that I had once loved to do but now had lost it’s value for me. Familiar stress and insecurities arose but with a different consciousness than 30 years past and so I was able to constructively use my past to form a new beginning. With eyes opened I accepted limits and responsibilities that I had resented in the past. I had lived 10 years “ with one foot in and one foot out” the United States and it was time to make a firm decision of which way to step. I left the states in the beginning of 2011 and arrived to a place where I belong, a place for me to take root. It has been an amazing year of inner growth that has brought a deeper accepting of myself and my relationships with others. It has been a significant year of changes, healings, and new beginnings. I am at the threshold of a new way of living my life and this past year feels to be the gestation of something yet unborn within me. Basically: Uranus joined with Jupiter, in square to Pluto, and opposition to Saturn. Having Mars at 0º Libra, Mercury at 29º Sag, and Sun at 26º Sag, I was under a great push for change. In early 2010, I decided to quit my job and applied to a new temporary project in Iceland which I did in spring and summer. This was a great adventure (Uranus transit to Mercury and Mars) and a first shift (the first entry of Uranus and Jupiter in Aries). Returning home, I started a new job in October but then, together with my fiancé, we applied to an internship back to Iceland to which we were accepted and started in January 2011 (retrograde transit). This is now our new home, and our new careers. We are living in a local community, with environmental matters. It might really be a long-term new beginning! And Uranus goes ahead again in Aries. 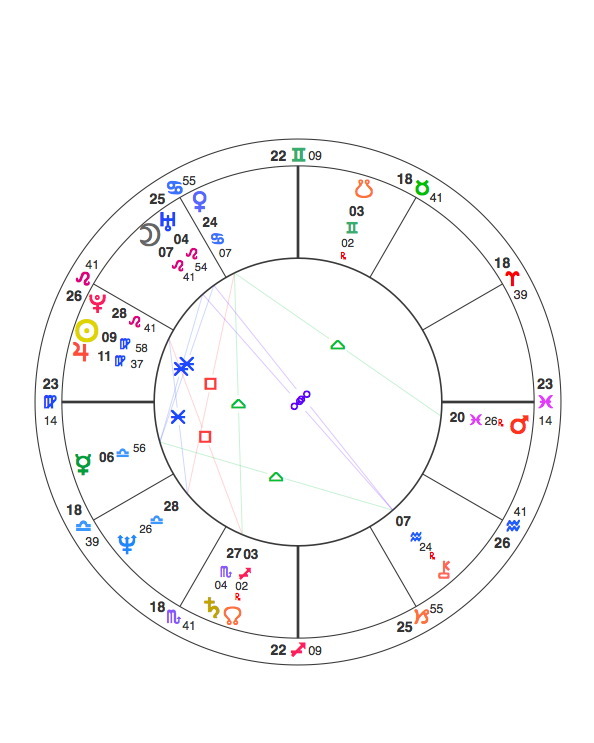 The conjunction of Uranus/Jupiter felt on 2nd house. My natal Sun in 11th house was squared by it. You can clearly see all the astrological themes! 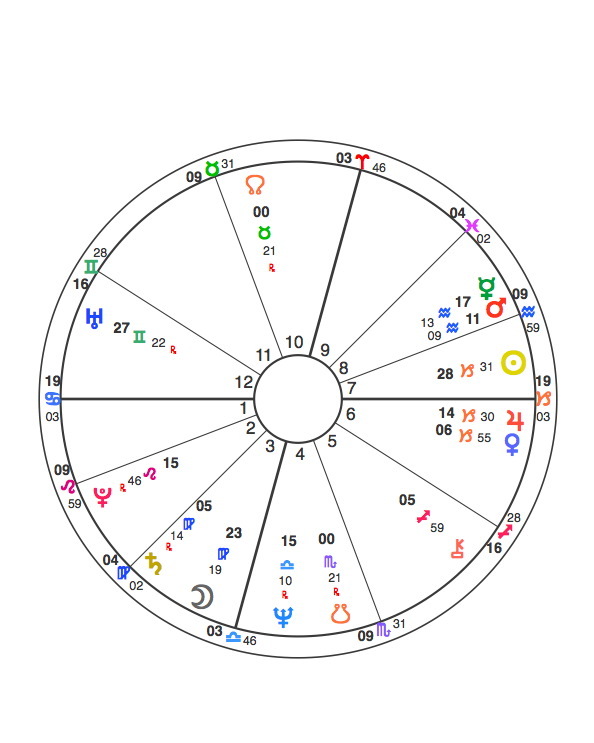 Particularly, the revolutionary influence of the conjunction expressed by a change of a career and in values (2nd house), and by new long-term and social engagements in a group setting working for a cause (11th house). This year (2010 and early 2011) was very significant, in my life. I am still not sure about the consequences of the major change that has happened. But it seems to be at least together with 2000, as one of the two years of biggest change in my life. I think this was because there was a major T-square that transited 3 of my natal planets, not just the Jupiter/Uranus. It has been a major change (this is also Saturn return), but Uranus/Jupiter push the boundaries of conventional: I quit my career to begin living in an intentional eco community abroad. I quit my job of ten years and finally filed for divorce even though I had been separated since October 2010. I moved briefly for educational purposes, came back and moved into a new part of my city. I had been living in the same place for ten years prior to that. I tried to get a job with my new skills but no such luck. Out of the blue, however, I was asked to write and edit for an entertainment website. I’ve gotten to do red carpet events and write about the stuff I love: music, film, and technology. It’s a complete 360 from what I was doing before, but I love it even though it’s hard work. I am doing my best to make the website popular and profitable. At the time of this writing, we are writing a business proposal to get investors so we can do a website redesign. This year has been very significant! It feels like I completely lived one life and am starting another. The life that I lead now, is more true to who I am. Recognizing the importance of this Jupiter/Uranus event happening conjunct my Sun at the same time I was experiencing my Uranus opposition Natal Uranus and Jupiter opposition Natal Jupiter helped me to streamline my intentions, focus, and more courageously begin the process of realizing several important goals. I knew they wouldn’t take root at this time, necessarily, but that they — with the doggedness of Saturn — eventually would. I also understood that putting myself out in the field where that bolt of lightning (Uranus) would be able to find me was the way to go and, drawing on the optimism of Jupiter, that’s exactly what I’m doing. I feel as if, although there were definitely changes with both my partner (who’s an early Libra) and I — and even changes within the changes, some taking form, others disappearing as quickly as they arrived –, the conjunction of Jupiter and Uranus on my 00 Aries Sun was the planting of the seed, so to speak. 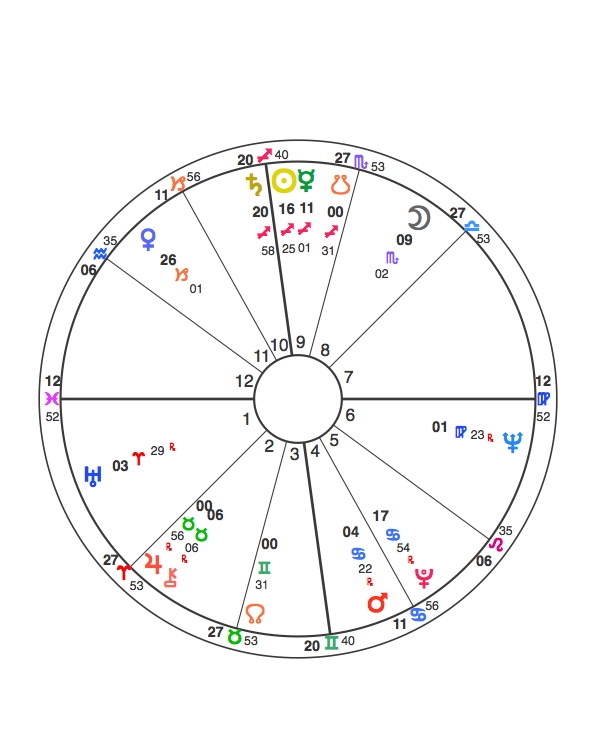 The actual changes manifested by Jupiter/Uranus will come, I suspect, with Jupiter’s subsequent transits and Eclipses to this 00 Aries degree. This experience, like I said, was the planting of the seed. I thought it might be of particular interest for those of you who have been following the research throughout the year – as well as anyone new dropping in! – to see the actual questionnaire I sent out to the “Jupiter/Uranus Ten” (as they will forever be known!) with one person’s story unfolding exactly as I received it. All the feedback has been clear and vivid. But I have chosen to feature “Alicia” not just for the clarity of her writing but also for the detail of her astrological commentary. This truly is a “Tale from the Wild Ride”…..
Jupiter conjunct Uranus is a combination of energies regarded as dynamic, unusual, disruptive, expansive, unpredictable – breaking down the old order, stimulating breakthroughs to new levels of expression and understanding, individually and collectively. It is most powerfully connected at a collective level to radical and disruptive environmental, social, political and technological shifts and breakthroughs. ii) Summary of the most significant features of the year. Please add any comments you wish to make on the astrology in your particular case. I have a Moon/Uranus conjunction in the 11th house. Uranus rules my natal sixth. Transiting Uranus as been alternately opposing my natal first house Mercury and coming near conjunct to my Desc. My father died suddenly (Mercury rules natal 10th), my beloved young cat died suddenly and traumatically (Uranus rules the sixth) and traumatically, and my mother took a sudden turn for the worse and has been bedridden for months (Moon Uranus conjunction) and is now on chemo to help resolve an inexplicable medical issue. My day to day life is utterly changed. None of these things could have been predicted a year ago. I almost lost my niece, too (the seventh house is the fifth from the third—my brother’s daughter), but thankfully her ascending Pluto saved her. There have been a lot of endings, which I attribute to the fact that natal Uranus is tightly opposing both Chiron and the Black Moon in my natal chart. The upside is that, professionally, things have never been better (Uranus sextiles natal Mercury/10th house ruler, from the 11th). A tremendous irony. But it’s left me antsy, and very aware that was was given could be taken away in a flash. What it has taught me, very clearly, is that transits always reflect their natal placements, no matter if they hit something exactly or not. Uranus was a few degrees away from my Desc and a few from exact to my Mercury, but it didn’t matter because Mercury/Uranus is one of the tightest aspects in my natal chart. iii) Brief evaluation of the significance of the year relative to other years in your life (in as much as one can do this!) and whether the Jupiter/Uranus effect as defined in the introductory Notes was in your opinion able to be seen – or not. There is no question that there has been more ruthless change in this past year than in any other I have ever experienced. I have to reset all of my patterns. Nothing has remained standing. Did you notice anything significant in your own country/the wider world during this year? War, earthquake, tsunami, ecological disaster, revolution enforced from without and within. I think Uranus should be happy with his partnership with Jupiter. One thing we didn’t consider enough as astrologers was the Pluto effect that lingered—Pluto affecting the cardinal point guaranteed that death was on Uranus’ heels. For me, personally, as well as globally. It was a bloody revolution and its toll was high.